"DO YOUUUUU BELIEEEEEEVE IN LOVE AFTER LOVEEEEEEEEEE"
Oh no. You have an earworm. Not just that, but you have a freakin' Cher earworm. While that term may be mistaken for a painful type of parasite that burrows its way through your external auditory meatus and into your brain to lay eggs, it's actually not that far off. 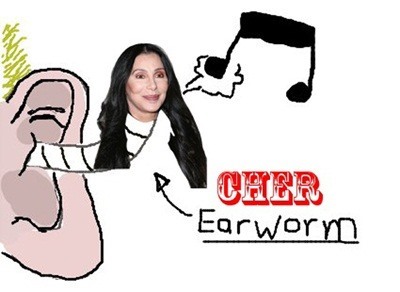 An earworm is used to describe a piece of music that, like the eggs of a parasite, lodge deep inside your brain and remain there until they hatch into a fledgling regurgitation of whatever catchy song you were listening to. Researchers that study the science behind why these songs get stuck in our heads don't have one concrete conclusion, but instead several theories. BUT HOW CAN WE FREAKING GET RID OF THEM? Researchers at Western Washington University are now claiming that the best way to stop earworms is to solve some tricky anagrams. It seems that tricky anagrams force the earworm from your memory, to instead allow much more acquiescent thoughts. For those that are too fond on anagrams, you can also carry around a tasking novel. Dr. Ira Hyman, a music psychologist at Western Washington University, says "The key is to find something that will give the right level of challenge. If you are cognitively engaged, it limits the ability of intrusive songs to enter your head." If you limit yourself to arbitrary tasks like walking, working, and driving, these obtrusive thoughts are more likely to creep in than if doing something much more engaging, like solving a complex puzzle or reading a laborious novel. Researchers warn, though, that if the task is too tough (like some of these Scrabble puzzles), or to easy, the earworm will crawl it's way back. They found Sudoku puzzles also help to prevent earmworms, but that their difficulty had to be just right. 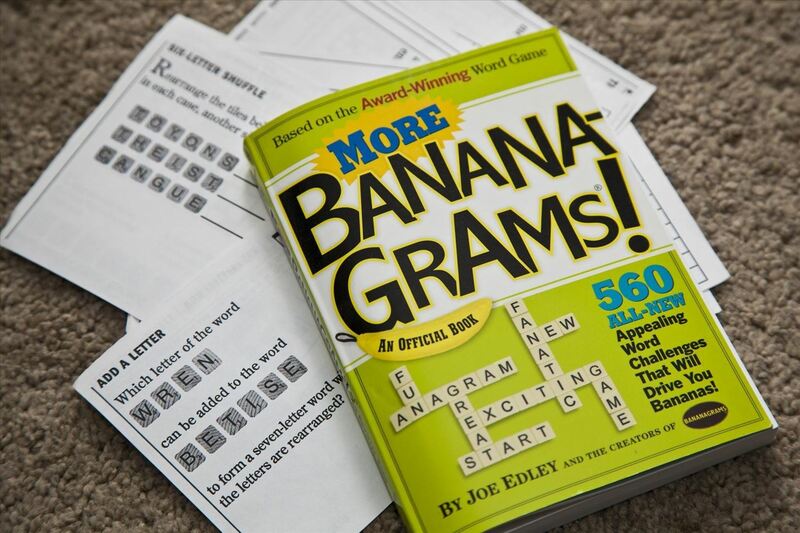 From all the tasks that they made their subjects perform, anagrams were the most successful—with five letter anagrams giving the best results. 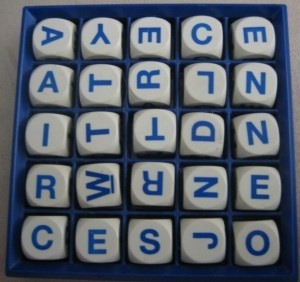 So, next time you find yourself stuck with an annoying song, take out your Boggle set and get to work. If the Boggle set is too easy, maybe these Scrabble puzzles are actually not that hard for you, though, Words with Friends might be the best scenario for people on the go. Or just carry around one of those anagram mini-books. You'll thank yourself later when you're not blurting out Cher lines in front of your friends, who are just a few seconds away from hurting you.